Temperatures during the first two weeks of May have ranged from more than 4°F below normal to more than 4°F above normal. Looking at the first two weeks of May, 15 of 35 first-order climate sites have been warmer than normal while 20 sites have been cooler than normal. Burlington, VT, and Caribou, ME, which has been seeing near- or above-normal temperatures since the beginning of the year, are averaging 6.8 above normal. 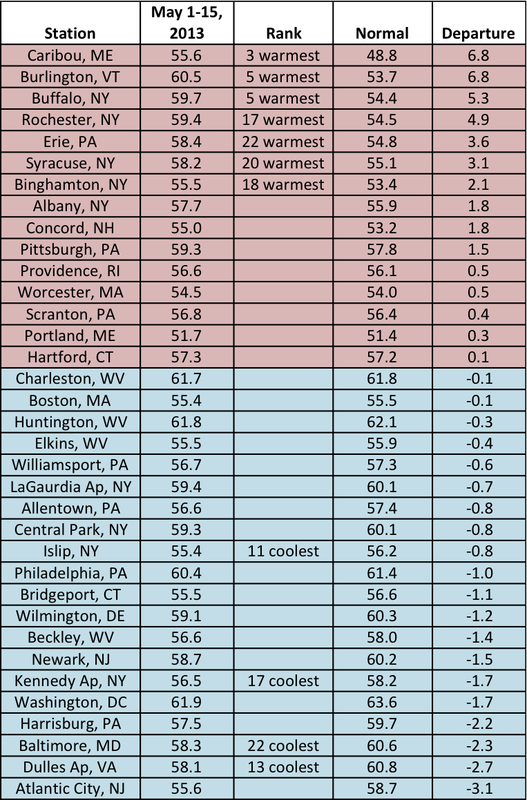 Atlantic City, NJ, is the coolest site at 3.1 degrees below normal. 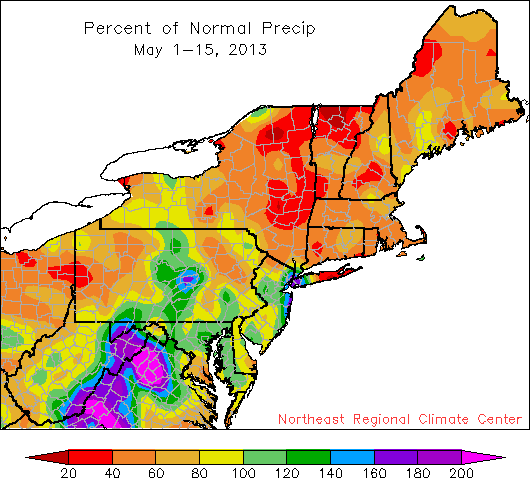 Precipitation was generally below-normal during the first half of May. Dry conditions have lingered across New England with all sites in that region receiving below normal precipitation so far this month. 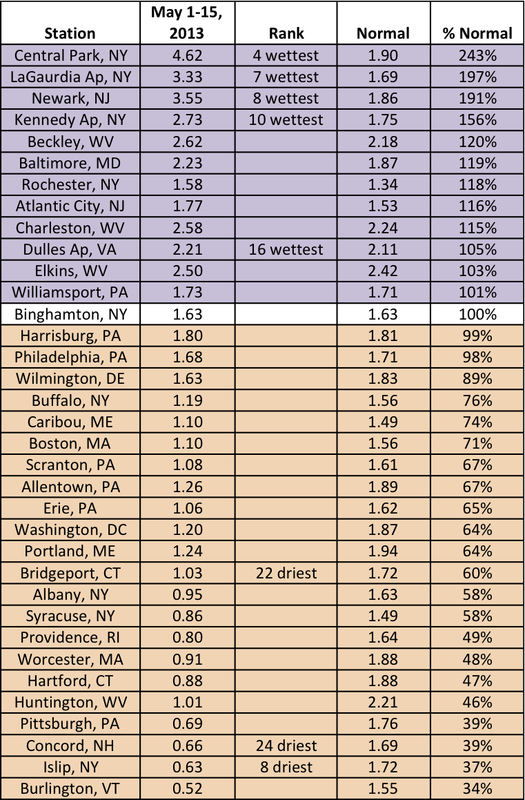 In fact, 22 first-order sites are drier than normal. On the other hand, 12 sites are wetter than normal. A storm system brought abundant precipitation to southern parts of the Northeast helping to ease dry conditions there. Check out the Northeast Drought page for more details on drought conditions.